Architectural and real estate photographers: How are you marketing your business? 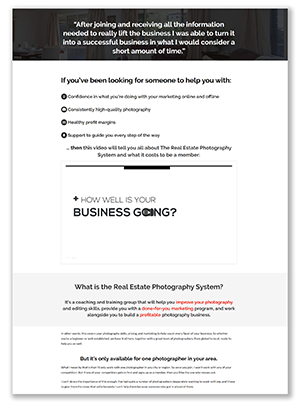 In this video we’ll look at marketing your real estate photography business, and I’ll give you the results of what I found when I reviewed 21 real estate photographer websites and their Facebook Pages. What I found may surprise you. If you want to have your own photography business then you need to love marketing, and you need to love working on a marketing plan. You need to be saying to yourself, “Wow, this is going to be great, I am going to have a lot of fun with this marketing idea! !” This is what running a business is all about, so let’s look at what you could be doing when it comes to marketing your business …. When it comes to blog posts they are one of the most cost-effective channels for generating leads, ahead of social media, organic SEO, trade shows, etc. If you’re not blogging then you’re not doing the simplest, and really one of the cheapest things that you could be doing to promote your business. Then there’s social media, which is going crazy in terms of activity. Where it gets interesting though is that unless you pay for it, content you share on your Facebook Page is only going to reach around 2 percent of your Facebook Page fans. So that’s one of the reasons why it’s important that you post lots of content, because very few of your fans will see a given piece of content that you post on Facebook. What’s interesting though is that the bar that real estate photographers have set when it comes to sharing content online is very low. You don’t have to do very much to be at the top, because most other photographers out there are doing practically nothing online. Out of the 21 photographer websites I looked at, just one had posted something on their blog in the month of July, and even that was just a collection of photographs, and it wasn’t a quality, well-written blog post like it should be. But get this, if we look at the first 7 months of 2018 only 6 photographers out of 21 had posted something on their blog this year. So when it comes to blog posts, there’s a big fail mark for those photographers I looked at. So then I went and had a look at Facebook Pages for all of those photographers as well, and they are better, but still below what they should be. Out of 21 photographers, 10 photographers posted something in the month of July, and 11 posted nothing at all that month. And so if we look at the average for all of them, I found an average of 2.2 Facebook posts per photographer for July, so that’s about 1 post every two weeks. And remember, some photographers posted nothing at all in that month. Some haven’t posted anything for a year or more. What does this mean? Well, it means that the standard that photographers have set is pretty low. If you want to succeed as a photographer when it comes to sharing blog posts and posting on your Facebook Page, then if you posted something on your blog once a month then you would be doing better than all of the photographers I looked at, and if you posted once a week then you would be absolutely smashing it! You would be number one! Looking now at Facebook, if you posted something on Facebook once every two days then you would also be doing better than all of the photographers I looked at in this list of 21. You would go to the top of this list, and that would have to translate into growth in your business, provided of course that you were still creating great photos and giving excellent service. 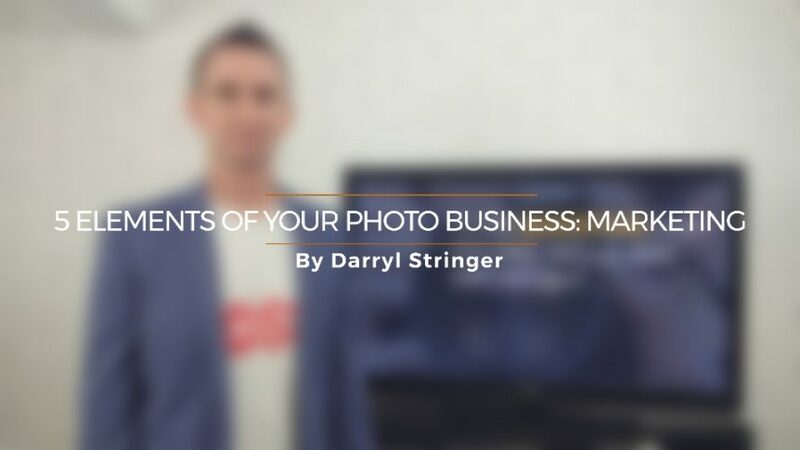 Ok, so it’s not that much that you have to do to be one of the better photographers out there when it comes to sharing content online, but if you do that then it’s a great form of marketing. It’s creating content, it’s educating clients and prospects about what you do, and it’s sharing the knowledge that you bring to your role. It really is one of the best marketing tools you have, because the focus is on inward marketing. That means that people will find you when they are looking for a photographer in your area rather than you going out there to find them. Now, all of that is really great, but you can also benefit from outbound marketing. If you’re working on creating this content we’ve just been talking about, then have a think about this idea – what could you do to repurpose some of that online content into something that you could use to reach out to and build a connection with a prospect? What could you share with those agents and builders and designers that would be that first connection point with them? Then once you have that first connection point, what else have you created that could be your next connection point? So what I’m talking about here is building content, then using it in as many different ways as possible to be marketing your business in as many different places and to as many of your dream clients as you possibly can. And I know this is hard work, but marketing is everything, and if you want to run your own photography business you need to love doing this, you need to be committed to it, and you need to hustle and get stuff done. Now I’d love to hear from some of you to see what you’re doing with all of this, so seriously, message me or something and let me know what you do with this. But if you’re stuck and you’d like me to help you with this then get in touch with me because my specialty is helping architectural and real estate photographers with this type of marketing, so hit me up if you’d like some help. Ok, that’s it for today. This has been Darryl Stringer, and I’ll see you again soon. Bye for now.